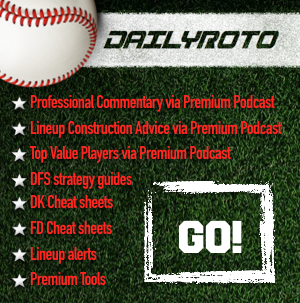 Logan Hitchcock breaks down the Wednesday slate of the baseball on the DailyRoto MLB Solo Shot. Come for the slate quirks, as well as pitching and hitting analysis and stay for Logie’s Locks – a selection of bold predictions for the day in April 27 MLB DFS action! Logan Hitchcock is currently enrolled as a student at the University of Pittsburgh pursuing a degree in Economics and a special interest in sports journalism. In 2015, Logan won a Fantasy Sports Trade Association Industry Award for “Best Fantasy Recurring Series” for his work breaking down MLB Park Factors.